Graduated in Biology and phD in Immunology (U.Barcelona) in 1998, he moved to a post-doctoral stage in the NBS-NHS in London (UK). He joined the IGTP in 2002, being promoted to his current position as “Miguel Servet” Senior Researcher of the Instituto de Salud Carlos III (ISCIII, CES 07/015, Level A)) and the Department of Health of the Generalitat de Catalunya in 2008. He has been investigating Extracellular Vesicles for ten years, covering basic research and translational aspects. 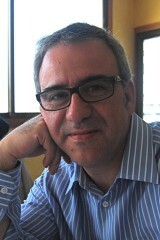 Member of the Editorial Board of the “Journal of Extracellular Vesicles”, official journal of the ISEV (International Society for Extracellular Vesicles), member of the COST-MEHAD action (European Network on Microvesicles and Exosomes in Health and Disease, and co-founder of the Spanish Vesicles working Group (geivex.org).